Yesterday, my husband and I spent the afternoon strolling the Artists Market at the Decatur Arts Festival, and met Dan’s friend, Jessica, and her husband, John, at an outdoor café overlooking the festival for lunch. Perched atop high stools, we had a front row view of the festival goers and the artisan works on display. As we were getting to know each other over pulled-pork sandwiches and bottles of ale, Jessica asked me how I got started in beading. I recalled a trip to the beach nearly four years ago with several of my sisters-in-law. Each night, Dan’s sister, Kathy, spread her bead stash across the condo’s dining table and everyone dug in to create colorful masterpieces in glass and stone. Jewelry was not something I gave much thought to, and although I did manage to string a simple bracelet, I spent most of those hours organizing Kathy’s stash by size and color. There was something about the feel of those beads in my hands! Once home, I ventured into a local bead store to find a clasp and some crimps for my beach creation, and as I approached the cash register, I noticed a magazine cover and realized you could SEW with beads, too! I left with my first tube of seed beads and a package of needles. That magazine was Bead and Button, so you can imagine how excited I was when I learned last night that my necklace created for this year’s Bead Soup Blog Party was chosen by Kalmbach Publishing as a winner in the Best Use of Seed Beads category! I am so honored that my necklace received the same award from Beaducation. As I’ve branched out from beadwork into wire the last few months, I discovered the work of Lisa Niven Kelly, who is such an inspiring wire artist. The online classes at Beaducation are the first place I turn to master a technique and explore the possibilities of metalworking. 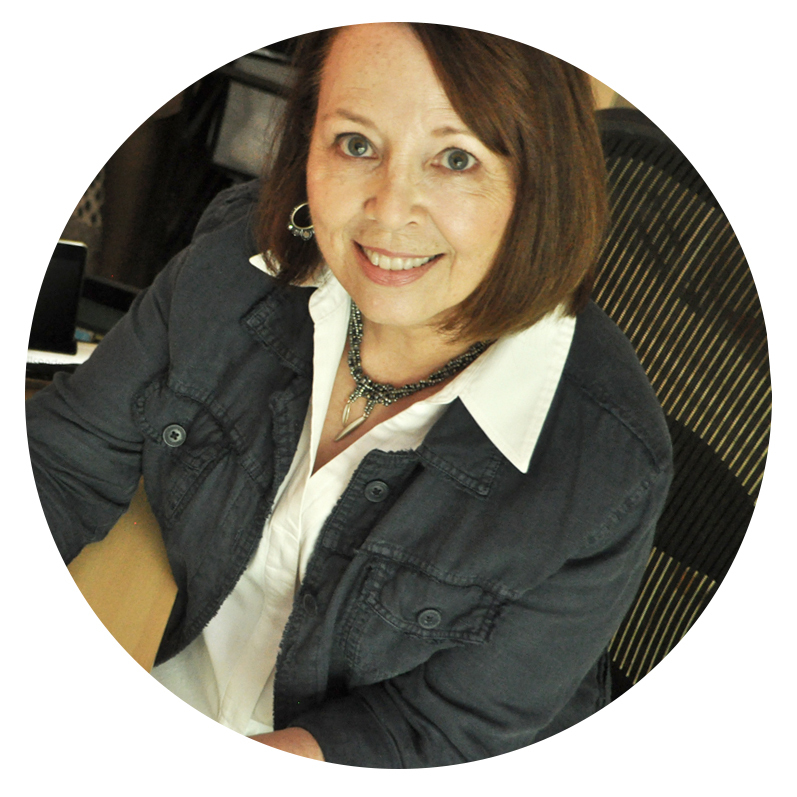 And, of course, showers of thanks go to the extraordinary Lori Anderson, for her tireless work in bringing all this about, and a huge personal thank you from me for being my Bead Soup blog partner this year. Lori gifted me with the sensational Thai silver elephant pendant and I had the fun of dreaming up a design worthy of it! Who knows, maybe next Memorial Day week-end I’ll be experiencing the Decatur Arts Festival from inside one of those artisan booths. It's fun to dream! 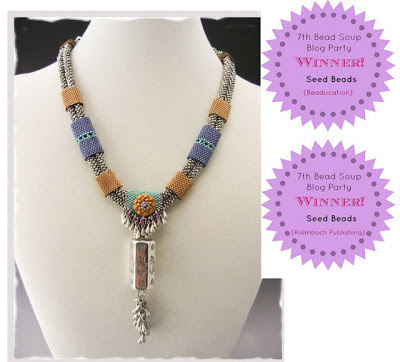 You can see all 46 Bead Soup Blog Party winning designs by clicking here. Concratulations! This necklace was also my favourite. It´s amazing! Bravo to you . . . stunning work!!! Congratulations! Seed beads were my first love in beading, and it feels good to see how you treat them. What a beautiful necklace congratulations! Congrats ! Your necklace is lovely! Congrats Karin - your piece was stunning! Congrats, Karin - I am honored to have seen that gorgeous necklace in person. It is definitely a winner! 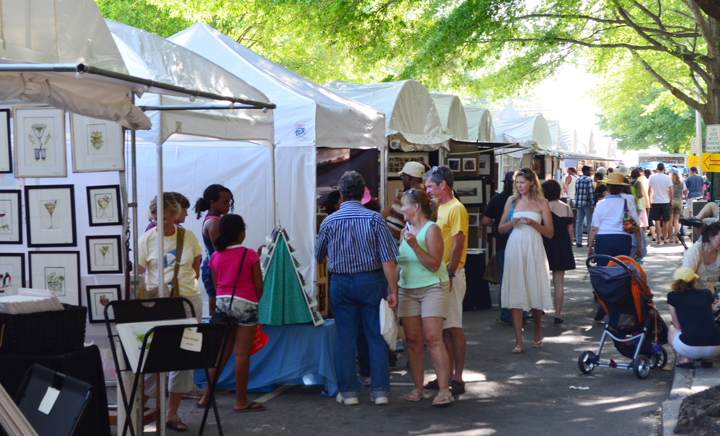 I remember years ago, back when I was in college, going to the Piedmont Park Arts Festival every year in the spring - lovely springtime Atlanta weather, and lots of beautiful art of all sorts. Tons of fun! Oh my what a great accomplishment. Congratulations. It was a fabulous piece all the way around. I venture away from seed beads from time to time but they will always be my favorite. Should you decide to venture inside a booth, your very own craft booth that is, I'm sure you will have great success. Your work is exceptional and you definitely deserve the recognition. The focal certainly is a beautiful one, but it took your creativity to bring out the very best in it. You made a masterpiece, bravo! A well deserved winning, you made an wesome piece! Karin, it was so wonderful to see your fabulous work honored this way -- completely deserved and completely appropriate! I love the backstory of your bead adventures, getting nudged into it on vacation with your family and now to the point where you inspire all of us with your artistry. Let me know when you do have that artist's booth -- I'll be there!! Oh congratulations to you!!!!!! so well deserved, your piece is wonderful! A Big Congrats to you, Karin!!! Your piece is absolutely gorgeous! Congratulations Karin, your award is well deserved you did a fantastic piece. Congratulations! Though I have to say that I'm not surprised because your piece is simply stunning. I love hearing how you came to beads, too. Congratulations on your BSBP win! Your design is just beautiful. I wanted to let you know that I also posted a pic of what I made with the beads and Saki Silver clasps from your blog giveaway. Congratulations to you on your win! Great choice by the judges.